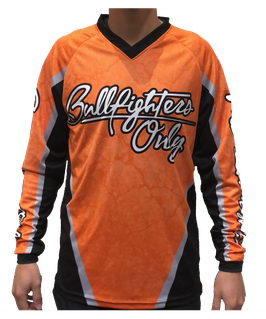 Our jerseys are made from the highest quality material and feature light weight, breathable fabric. Add your name for an additional $10, sponsor logos* for an additional $5 (per logo). 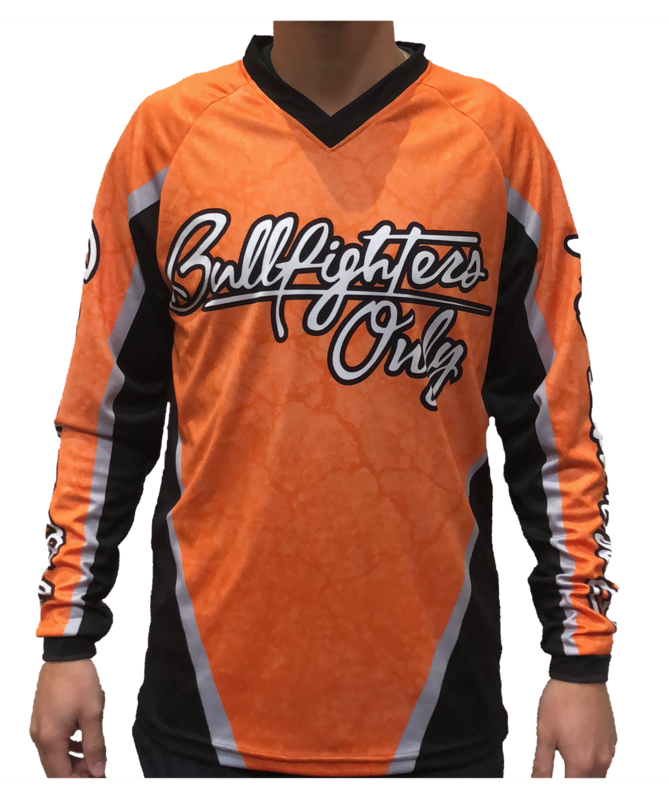 Our jerseys are made from the highest quality material and feature light weight, breathable fabric. Add your name for an additional $10, sponsor logos* for an additional $5 (per logo). 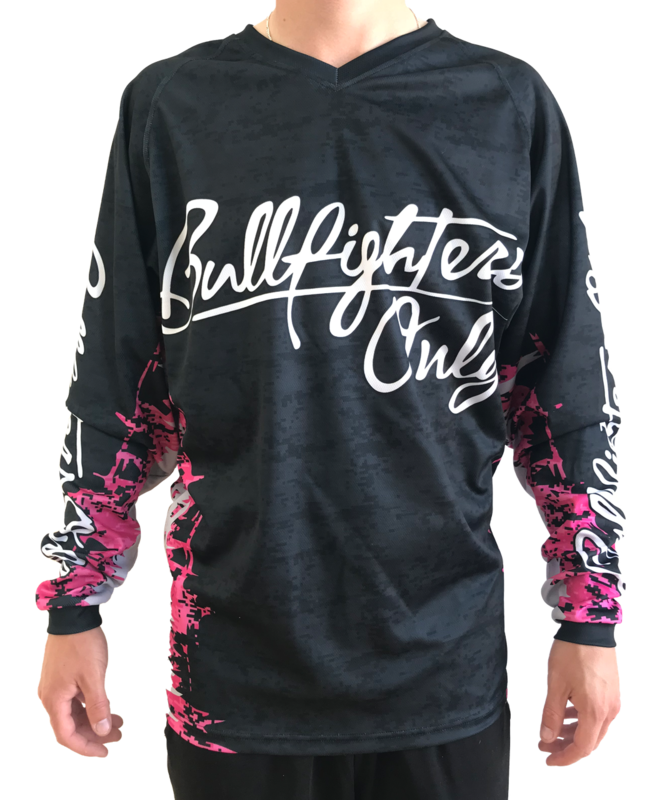 Breast cancer logo optional. 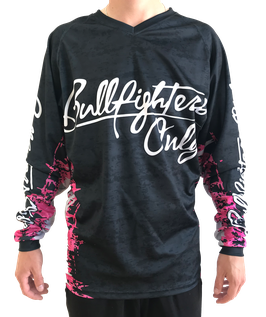 Got a mini bullfighter in the house? Dress them up like the pros! 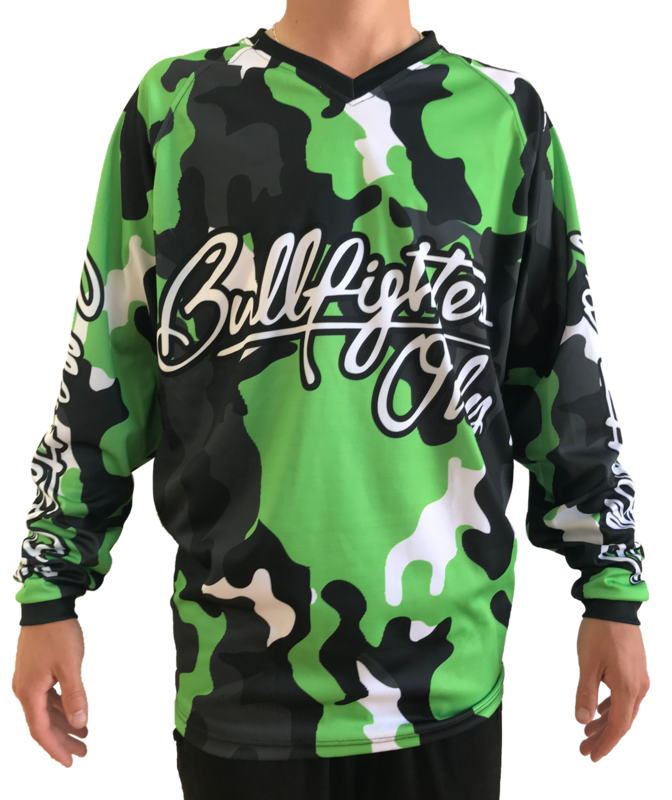 Just like our signature BFO adult jerseys, these youth version are made from high quality material and feature light weight, breathable fabric. Add their name for an additional $10, sponsor logos* for an additional $5 (per logo).